Officials at A&E have reversed their decision to remove Duck Dynasty patriarch Phil Robertson from the popular reality television show following a nationwide outcry from those who expressed support of his comments. As previously reported, the situation began following the online release of the January 2014 issue of GQ Magazine, which features an interview with the famed duck call inventor and reality show star. While Robertson discussed a variety of topics from his personal testimony to health care, to his views on hunting and Creation, his remarks about homosexuality ended up putting him out of a job. “What, in your mind, is sinful?” Magary, who laced the article with profanity, asked. He then quoted from 1 Corinthians 6:9. However, when homosexual activists learned of the popular duck hunter’s comments, they immediately released statements condemning Robertson’s remarks, and soon after, A&E yanked Robertson from the show, placing him on indefinite suspension. Conversely, when viewers of the broadcast and others who supported Robertson’s remarks and right to free speech learned of the suspension, they flooded A&E with complaints. A Facebook page that was also created following Robertson’s suspension climbed into the thousands within hours, and stands at over 1.5 million likes to date. Politicians and news commentators alike similarly became vocal about the matter until the culmination of the enormous backlash resulted in the reinstatement of Robertson. 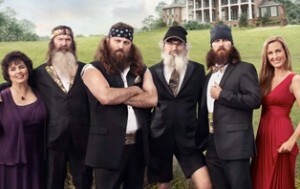 “So after discussions with the Robertson family, as well as consulting with numerous advocacy groups, A&E has decided to resume filming Duck Dynasty later this spring with the entire Robertson family,” the network said. The next season is set to air beginning January 15th.